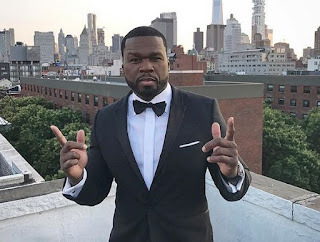 United State popular rapper who is signed under G-Unit label, 50 Cent has pounced on former Murder Inc rapper, Ja Rule by re-posting a story of the rapper owning millions of dollars in tax to the internal revenue service. Ja Rule has been on the receiving end of 50 Cent attacks on Instagram. The two rappers have been going at each other necks for years without any sign of making peace. Just last week, Ja Rule called out 50 cent for his tribute to Nipsey Hussle where he used his own photo. 50 Cent and Ja Rule always encounter a minor misdemeanor and 50 keep leaping out his verbally expression on Ja anytime picks odds. Last year the G-Unite rapper also had that run-in with same rapper. Same this year, get the strap man troll J. Rule for loosing weight but his opponent didn't respond to him.